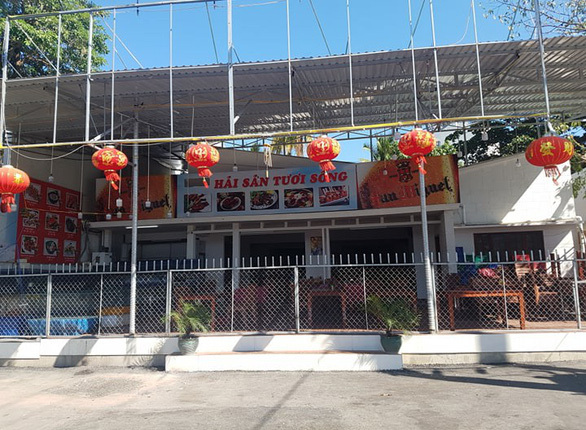 Authorities in Nha Trang, a resort city in the south-central Vietnamese province of Khanh Hoa, have inspected a local restaurant after a group of Malaysian tourists were charged VND500,000 (US$21.5) for a dish of stir-fried eggs, as well as exorbitant prices for other courses at the venue. A photo of the bill for the tourists’ meal has become viral on social media over the past few days as all of the dishes appear to cost far more than they should have. A dish of stir-fried eggs and tomatoes fetched VND500,000 (US$21.5), while a dish of boiled okras was charged VND300,000 ($13). The foreign diners were also charged VND200,000 (8.6) for each portion of cooked white rice. The information on the bill showed that the tourists had had their dinner at Hung Phat Restaurant at 86/5 Tran Phu Street. A representative of a local travel agent, which provided their tour for the Malaysian visitors, confirmed they had taken and posted the photo. 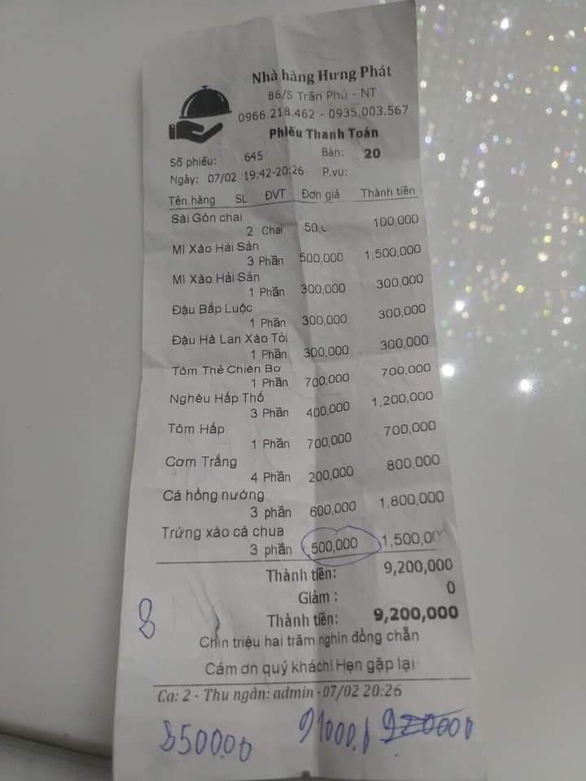 They arrived at the eatery on the evening of February 7, the third day of the Lunar New Year, and were charged a total of VND9.2 million ($396) for the entire meal. According to Pham Van Huu, head of the provincial market management department, a delegation of inspectors has been sent to the restaurant to verify the case. The bill of the meal is seen in this Facebook photo. The venue, however, had been closed by the time they arrived, with its signboard being taken down, Huu stated. There was only one security guard, who said the owner had already returned to his hometown for the Lunar New Year holiday. “We have not been able to contact the owner, but will continue our probe to further deal with the incident,” Huu added. Tuoi Tre (Youth) newspaper reporters were able to reach Phung, the previous owner of the eatery. Phung said he had withdrawn all of his investment in the restaurant and handed over the venue to the new owner on February 2. “After taking over the restaurant, the new owner returned to his home in northern Vietnam to celebrate Tet,” Phung added. Nguyen Be, deputy director of the Khanh Hoa Department of Finance, advised the travel agent to keep the bill and report the incident in writing to the department for further solutions.